The year 2016 has started. It is the time for “happy New Year” and “best wishes for the New Year”. It is also the time when all those new year resolutions have to be made true. And as we all know, that can be a challenge. 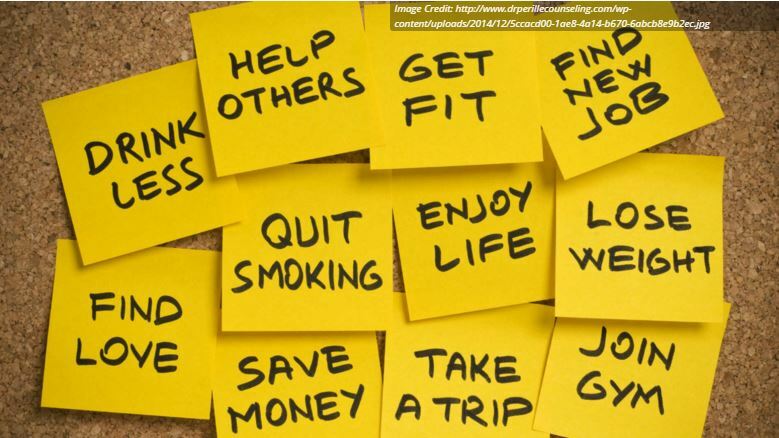 We want to stop smoking, work out more, drink less, and spend more time with family and friends. Taking an online course is like a new year resolution: you start with the best intentions, seriously wanting to reach your goal and finish the course. Many people however never reach the actual end of the course. How come some people manage to finish the course and others don’t? The easy answer is “motivation and perseverance”. Without feeling a need to gain the knowledge presented in the course and the will to keep on going even when it gets a little boring, one is not likely to finish the course. The more complicated answer is “self-regulated learning”. When a learner self-regulates his or her learning, s/he sets goals, makes a plan, monitors his or her comprehension, asks help when needed, and thinks about what would be the most appropriate study strategy (e.g. simply reading, taking notes, summarizing). This may sound complex, but it all comes down to taking control of one’s own learning; becoming motivationally and behaviorally active. However, this is easier said than done. These regulatory processes require additional motivation and effort. One has to reflect on his or her learning and set up an appropriate study location. It has therefore also been found that those who believe they will be capable of finishing the course (high in self-efficacy) and intrinsically motivated are more likely to engage in self-regulated learning. So, when struggling with your new year resolutions: set concrete goals for yourself, reflect and think about what works and does not work for you, ask help when you need it, and keep going. Let’s make 2016 a great year!